If Kylie Jenner‘s stock-plummeting Snapchat rant didn’t make you delete the app, maybe this will. Over the weekend, Snapchat found itself in hot water after a now-deleted domestic violence meme featuring Rihanna and Chris Brown went viral. The meme, which was an advertisement for the app “Would You Rather,” asked users whether they would prefer to “slap Rihanna” or “punch Chris Brown.” Almost immediately, screenshots of the ad appeared on Twitter, with many criticizing Snapchat for making light of domestic violence. Many considered the ad a mockery of Rihanna’s experience with domestic violence. In 2009, Brown was arrested and charged for physically assaulting his then-girlfriend Rihanna hours before she was to perform at the Grammy awards. 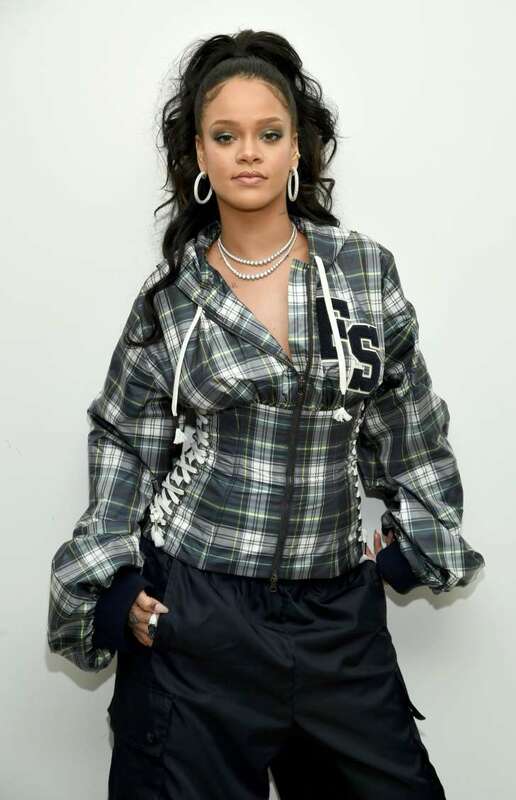 Since the incident, Rihanna has spoken out against domestic violence and opened up about the multiple assaults she experienced while dating Brown. Given the “Work” singer’s past, fans weren’t happy with Snapchat’s ad. Though Snapchat didn’t create the ad or the idea behind it, users—including political activist Chelsea Clinton—still slammed the app for approving an ad that mocks domestic violence. Just awful. Awful that anyone thinks this is funny. Awful that anyone thinks this is appropriate. Awful that any company would approve this. Thank you Brittany for calling this out. Since the backlash, Snapchat has apologized and swiftly taken the ad down. In a statement to Mashable, the app explained that the ad’s approval was a mistake and that the ad was immediately removed once the company became aware of its content. Though we’re still a little suspect that a multi-billion-dollar company like Snapchat would let a mistake like this fall through the cracks, we appreciate their apology. Still, that doesn’t excuse the poor-taste ad clearly poking fun at Rihanna’s experience with domestic violence. Domestic violence isn’t funny. Like Clinton said, no one should’ve approved it or come up with it. Do better, Snapchat.